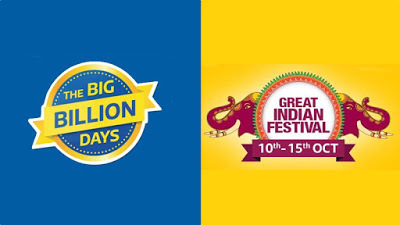 Flipkart Big Billion Days and Amazon Great Indian Sale from 10 October - 15th October. Here are Best Deals on Mobile Phones. Amazon will offer 10% Discount on SBI cards and 10% Discount HDFC cards on Flipkart. Infinix Smart 2 has a 5.45-inch HD+ 18:9 aspect ratio display powered by MediaTek MT6739 processor with 2/3GB of RAM and 16/32GB of internal storage It has a 13-megapixel rear camera with dual LED flash and 8-megapixel front camera with dual LED flash. The device does not come with a fingerprint sensor, but it comes with face unlock that can unlock the phone in 0.3 seconds. It features dedicated dual SIM slots and a microSD card slot, Dual 4G VoLTE and Packed with a 3050mAh battery. Yu Ace has a 5.45-inch HD+ Full-vision display powered by MediaTek MT6739WW processor with 2GB RAM,16GB Storage and 3GB RAM with 32GB Storage further expandable up to 128GB with MicroSD slot. Dual SIM device runs on Android 8.0 Oreo. On Camera, it has a13MP primary camera, a 5MP front camera with LED flash on both. It has a rear-mounted fingerprint scanner and also supports Face Unlock. Camera, Performance is average, takes 4 Hours to charge, Fingerprint scanner, 18:9 Display, Battery Life is Plus point. 3GB RAM with 32GB Storage, 4GB RAM, and 64GB/128GB storage Dual SIM device runs Android 8.0 (Oreo) with EMUI 8.0. On Camera, it has a has a 13-megapixel rear camera along with a 2-megapixel secondary camera for portrait shots and a 16-megapixel camera on the front. Packed with 3000mAh battery. 3GB RAM Rs 9999 (Rs 10999),4GB RAM Rs 10999 (Rs 12999) 6GB RAM Rs 12999 (Rs 14999). Asus Zenfone Max Pro M1 comes with Metal body, Fingerprint Scanner on the Rear. It has a 5.99-inch (2160×1080 pixels) Full HD+ 18:9 2.5D curved glass display powered by 1.8GHz Octa-Core Snapdragon 636 Processor. Dual SIM device runs on Android 8.1 Oreo. 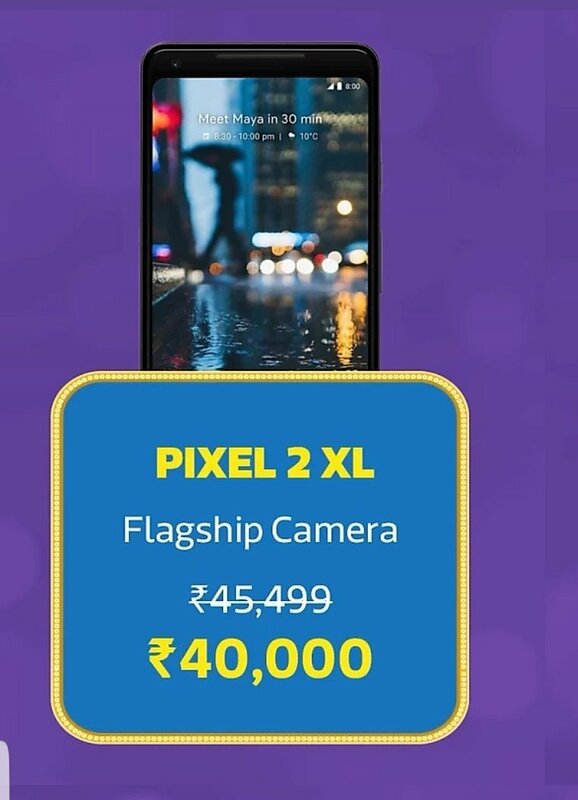 On Camera, it has a 13 Megapixel primary camera along with 5 Megapixel depth-sensing camera and 8MP front-facing camera both have LED Flash. Packed with a 5000mAh battery. There is also 6GB RAM variant which comes with 16+5MP Dual Rear Camera and 16MP front Camera. It offers Bigger Battery, Stock Android experience lacks fast charging support and No Display protection. Moto X4 features a 5.2-inch 1080p Display powered by an Octa-Core Snapdragon 630 Mobile Platform with 3/4GB RAM with 32/64GB storage On Camera, It has dual 12MP+ 8MP rear cameras and a 16MP front camera. It has IP68 certification for water resistance, Glass body and runs on Android 8.0 Oreo. Packed with a 3,000 mAh battery. If you are looking IP68 rating than its good buy. Nokia 5.1 Plus features a 5.86-inch HD+ Notch display powered by an Octa-Core Helio P60 SoC with 3GB of RAM and 32GB Storage. It also has a fingerprint sensor on the back and a glass back, Packed with a 3060mAh battery. It has a 13+5MP Dual Rear Camera and 8MP front Camera, There is also support for AI face Unlock, It runs on Android 8.1 Oreo out of the Box. Xiaomi Redmi Note 5 Pro has a 5.99-inch FHD+ 18:9 Display powered by Qualcomm Snapdragon 636 Processor with 4GB RAM, 64GB Storage,6GB RAM, 64GB Storage. It runs on Android Oreo with MIUI. On Camera, it has a Dual Rear 12 MP IMX 486 sensor +5MP color sensor to capture depth information, there is also EIS for videos and 20MP front camera.packed with a 4000mAh Battery which does not support fast charging. Moto Z2 Force features a 5.5-inch Quad HD AMOLED display With Moto ShatterShield technology powered by Qualcomm Snapdragon 835 Processor with 6GB RAM and 64GB of internal storage. Google Pixel 2 XL has a 6-inch Quad HD+ P-OLED Fullscreen 18:9 display powered by an Octa-Core Snapdragon 835 Processor. It comes with 4GB DDR4X RAM, 64GB / 128GB storage, On Camera, it has a 12.2-megapixel rear camera with LED flash, Optical Image Stabilization (OIS), Dual Pixel and an 8-megapixel front-facing camera. Packed with a 3520mAh Battery. Xiaomi Redmi Y2 has a 5.99 -inch HD + display powered by Snapdragon 625 processor coupled with 3/4GB of RAM and 32/64GB of internal Storage On Camera, it has a 12MP+5MP Dual Rear Camera and 16 MP front-facing camera. Packed with a 3080mAh Battery. It has Fingerprint Scanner and Face-Unlock. Huawei P20 Lite has a 5.84-inch FHD+ 19:9 screen with a notch powered by Kirin 659 with 4GB RAM and 64GB of internal storage. On Camera, it has a 16-megapixel rear camera along with a 2-megapixel secondary camera for portrait shots. and a 16-megapixel front camera with face beauty packed by 3000mAh battery. Huawei Nova 3i has a 6.3-inch FHD+ 19:5:9 aspect ratio curved glass display with a notch powered by Octa-Core Kirin 710 12nm processor with 4GB RAM with 128GB internal storage. 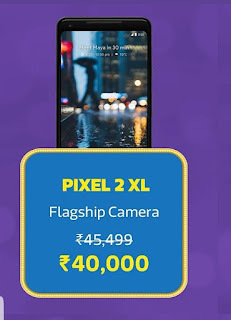 It has a 24-megapixel front camera along with a 2-megapixel secondary camera and a 16-megapixel rear camera AI scene recognition along with a 2-megapixel secondary rear camera for portrait shots. Packed with a 3340mAh Battery. Samsung Galaxy A8 + features a 6-inch (1080×2220 pixels) Full HD+ Super AMOLED display powered by Octa-Core Exynos 7885 14nm processor with 6GB RAM and 64GB storage, expandable up to 256GB via micro SD card. On Camera, it has a 16MP rear camera with LED flash, f/1.7 aperture and 16MP front camera with f/1.9 aperture, secondary 8MP camera with f/1.9 aperture. Packed by a 3500mAh battery with adaptive fast charging. Huawei Nova 3 has a 6.3-inch FHD+ display with a notch powered by Kirin 970 SoC with 6GB of RAM and 128GB Storage. On-Camera, it has a 16-megapixel rear camera AI scene recognition that can detect over 500 scenes and the 24-megapixel secondary rear camera for portrait shots. It has a 24-megapixel front camera along with a 2-megapixel secondary camera. Packed with a 3750mAh battery with fast charging support. OnePlus 6 has a 6.28-inch Super AMOLED FHD+ display Powered by a 2.45GHz octa-core Snapdragon 845 processor with 6GB of RAM, and 64GB storage.8GB of RAM and 128GB storage. On Camera, It has a 16-megapixel sensor and 20-megapixel sensor, optical image stabilization, portrait mode, 4K 60fps video, and 16MP front Camera. Packed with a 3300mAh Battery. Samsung Galaxy S9 will be available for Rs 42,990 down from 57,900. It has a 5.8-inch Quad HD+ (2960 × 1440 pixels) Super AMOLED Infinity display powered by Octa-Core Exynos 9810 processor with 4GB LPDDR4x RAM with 64GB storage (UFS 2.1). It has a 12MP Dual Pixel rear camera with LED Flash, f/2.4-f/1.5 variable aperture and 8MP autofocus front-facing camera with wide-angle lens. Packed by a 3000mAh battery. Samsung Galaxy Note8 features a 6.3-inch Quad HD+ (2960 × 1440 pixels) Super AMOLED Infinity display powered by Exynos 9 8895 processor with 6GB of LPDDR4 RAM with 64GB internal Storage storage. It has a 12-megapixel primary camera with f/1.7 aperture and wide-angle lens and a 12-megapixel secondary camera with f/2.4 aperture and telephoto lens offering 2x optical zoom. Both have OIS. Packed with a 3300mAh battery.